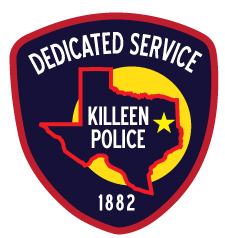 Killeen Animal Control Officers responded to the 4500 block of Lonesome Dove on April 6, 2014 in reference to a dog that had been scratched by a skunk. The skunk was captured and per protocol it was processed for testing at the Texas Department of State Health Service, Austin Laboratory. The Texas Department of State Health Services notified the Killeen Animal Control Unit on April 8, 2014 that the skunk had tested positive for the rabies virus. Animal Control Officers will be distributing handouts in the area of Lonesome Dove to ensure the residents of that area are aware of this incident, the potential danger that has been identified and have a chance to prepare. This notice is to inform the citizens that a rabid skunk was found in the Lonesome Dove area of Killeen in Bell County. All residents should be aware of their surroundings and closely watch for any unusual wild animal activity. There have been three skunks identified in Bell County between January 2014 and April 3, 2014 and confirmed positive with the rabies virus.